I have always been fascinated by tree trunks. For some reason, the entire tree, unless it is the only tree in the photo (as in Ansel Adams' Oak Tree in Snow Storm, Yosemite) just doesn't do it for me. It kind of starts getting too complicated when you introduce the whole tree. 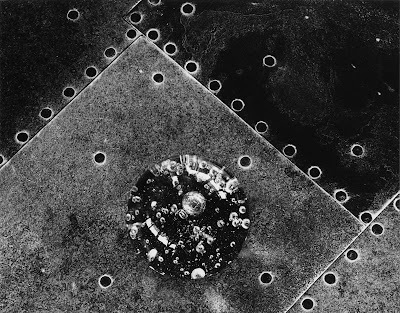 I have always loved Albert Renger-Patzsch's Buchenwald, 1936. 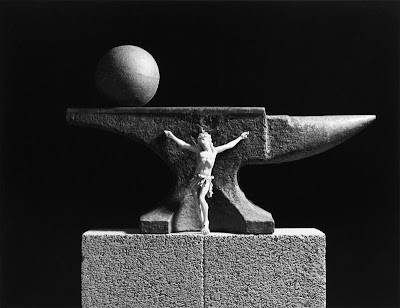 The first time I saw it was in one of my favorite photo books, Counterparts: Form and Emotion in Photography. 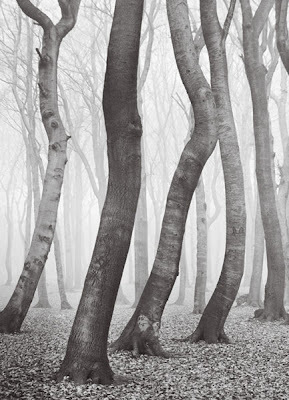 Another tree trunk photo I love is Brett Weston's Beech Forest, Holland, 1971. Although part of the canopy is included, the strength of this photo is the elegant lines of the trunks. They almost remind me of city people scurrying in their hectic lives. On my first trip to Carmel in 1984 I went to the Weston Gallery. At the time they were exhibitibng Clinton Smith. There was a huge 30x40 color print in the window. It blew me away. The simplicity and the color were just amazing. Trees have to be simple and graphic for me. The lines have to be elegant, and more often than not, curved slightly. 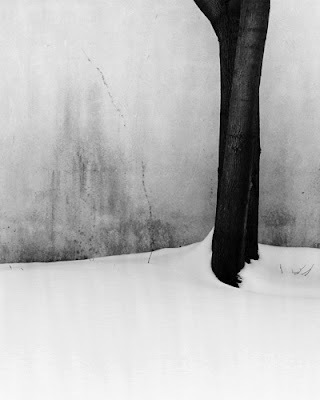 Maybe that's what attracted me to the Two Trees in Snow, Pompton Lakes, 1984. What happened above the crop just did not interest me. In fact, this is a crop of the full negative. One of my favorite places to photograph in Scottsdale is the Civic Plaza. 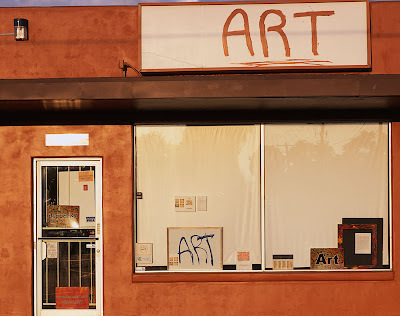 The Scottsdale Museum of Contemporary Art is located there. The building is very modern... lots of glass and brushed steel and curved surfaces. This tree is behind the art center along the walkway to the parking garage. Initially the sheen of the metal surface caught my eye. But later I thought more about the curve of the tree. 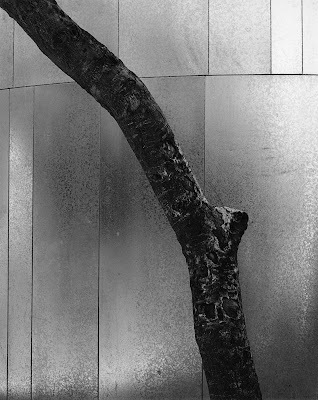 I love the way the dark, crusty curve of the tree trunk counters the smooth, luminous surface of the metal wall and the vertical lines of the metal sections. Although my images are of single trees, or at least appear to be single trees, I am still in search of a composition of multiple tree trunks. Hopefully one day I will find them. Another of my color shots from last weekend. I took this one for my daughter as she wants to go to art school. 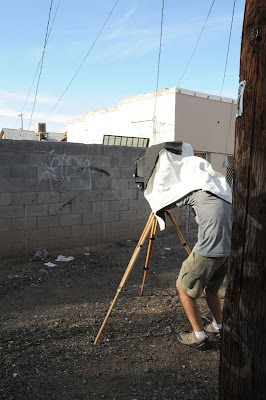 On my recent outing with John Prouty I photographed at the corner of 16th Street and Van Buren Street in Phoenix. Not the best area of town but worth photographing. I had discovered this a few weeks ago while driving my daughter to a College Fair at the Phoenix Convention Center. They had just repainted the facade of this building and I could not believe the color choices. Dayglo Lime Green and Orange... side by side! I was also attracted to the signage and the windows plastered with newspapers. I told my daughter that I had to photograph this. She begged me to bring someone with me to watch my back while under the dark cloth. John Prouty is a photographer friend of mine here in Phoenix. By day he is a master woodworker but whenever he has free time he breaks out the 8x10" camera and creates some great photography. John is also an avid mountain climber, having reached the summit of Mt. Rainier twice this summer. John doesn't limit himself to one particular subject matter and his portfolio is very diverse. Below are some of my favorites, including the "Hole in the Wall", taken in Superior, AZ on one of Rod Klukas' field trips. I have a 16x20 of this in my home. The print has an almost 3D quality to it. 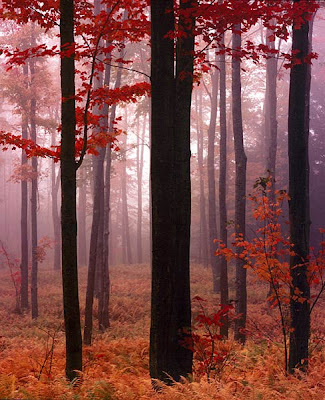 As do all good photographers, John enjoys abstraction, and he is very good at it. John also enjoys still lifes. Not one of my fortes, but after seeing some of John's work it makes you want to try some. He has a set of prints where he uses old tools and building materials that are very nice. He also puts quite a bit of thought into each composition. The image below is probably my favorite in this series. I was out photographing with my friend, John Prouty, this past Sunday morning. John takes his photography seriously. 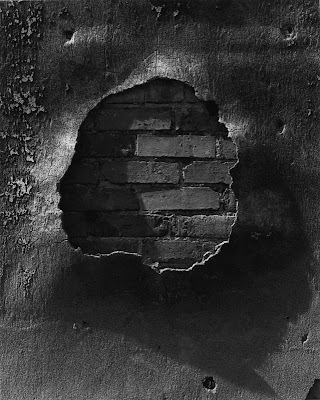 He is very contemplative in his approach to photography and when viewing photographs. He photographs with 4x5 and 8x10 cameras. I'll post some of his work in a very near future post. Back to Sunday. We were driving around very early. It was the first "nice" Sunday we've had here in the Phoenix area since the late Spring. The temperature was very comfortable in the morning. I had a few places I wanted to photograph so we went to them while the light was nice. I will post them soon, as well. On one of our last stops we went to the Rio Salado Habitat, south of downtown Phoenix. This is a revitalized riparian habitat where they have begun to revive the Salt River as it once flowed through Phoenix a long time ago. Most people don't know that Phoenix started out as a riverside community. Once they dammed the rivers upstream to provide drinking water, the river only ran seasonally when they had to release water if the reservoirs approached capacity, which isn't often. They had to do it a summer or two ago. Anyway, there are patches of river coming back to life. At the Central Ave. parking area they have a "pond" next to the lot, I guess for the kids. There are ducks and small fish, maybe frogs. But it looked like it could use some TLC this past Sunday. 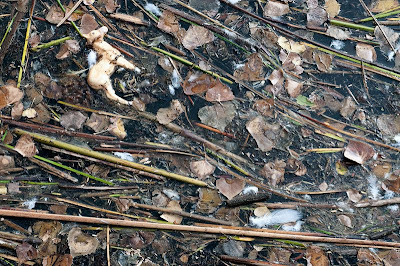 There was this congregation of broken reeds, garbage and duck feathers in one corner. We stopped to look at it. I took this shot with my Nikon D300 and then decided to go back to the car and get the 8x10" camera. By the time I got back (less than a minute later) the breeze and current from the filtration system had shifted everything and broken the composition. So I have this digital image, at least. 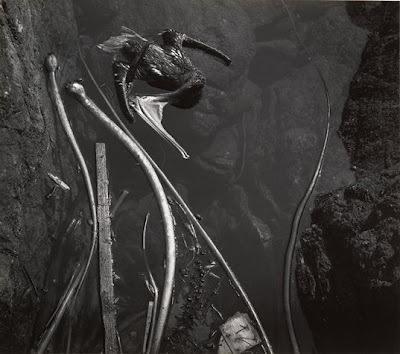 It reminds me of the Edward Weston photograph, Tide Pool, Pt. Lobos, 1945, which I have a gravure of in my home. Now, how do the Marx Brothers figure into this? I call the image "Horse Feathers". I will post large format work from this weekend as soon as I get to process the film and have the chromes done at the lab.